These 2012 Olympic Cookies from Sensibly Sweet are a sweet snack for the summer games. 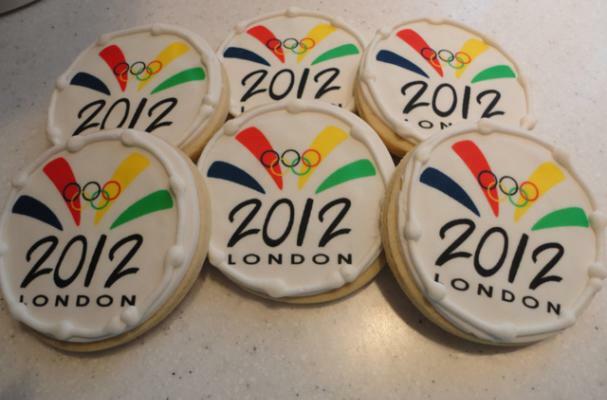 Round sugar cookies are decorated with the olympic colors along with the rings and "2012 London" inscribed across the bottom. The bakery is located in New Jersey but they ship these festive cookies all over the U.S. Each box contains 12 cookies and is priced at $45 dollars.